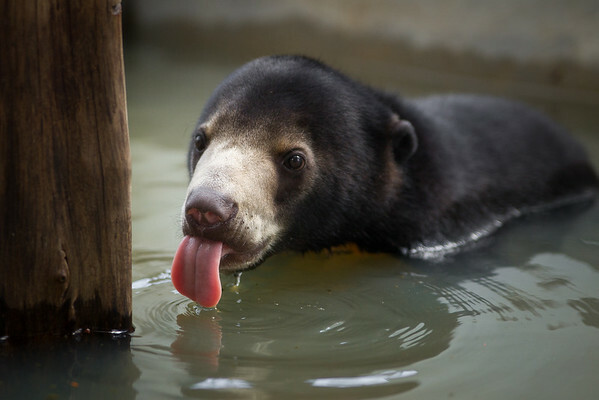 Sun bear cub Hope was one of many babies rescued in 2013. Settling into the quarantine area, she has a lot of growing up to do before she can be integrated into the huge forest habitats with the other bears. For now she's happy tumbling and swimming around with her flat-mate Maggie.